Joe Duepner spent his childhood in St. Louis, MO before moving to Hamilton County, Indiana in 1993. He currently resides in Westfield, Indiana with this wife and two children. 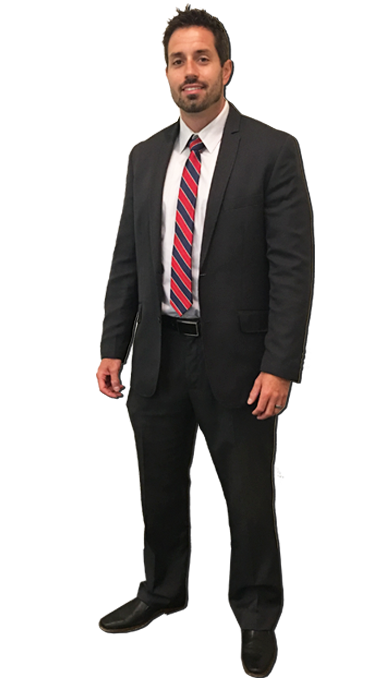 Joe has handled many different types of cases from felony jury trials to complex civil litigation matter, estate work and personal injury suits. 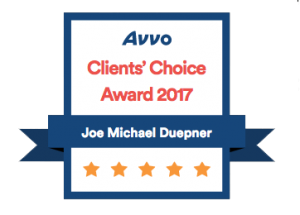 Before opening up Duepner Law, Joe interned under three prominent Hamilton County attorneys, practicing criminal law, family law, and general civil litigation. Joe also worked briefly at the Indiana Securities Commission under Commissioner Chris Naylor, assisting in the investigation, research and litigation of securities fraud issues including the recent case of State Of Indiana vs. CFS LLC,CFS Trust Inc, CFS at Crosspoint LLCet al. In his spare time, Joe is an avid sportsman, playing collegiate athletics in past, you can now either find him hanging out with his family or enjoying the outdoors.